It's showtime in Germany today! Bayern Munich is hosting Borussia Dortmund at Allianz Arena. Despite the fact that the home team has a big advantage over other opponents, and they are near clinching their fifth consecutive and 27th title overall. Borussia is in the fourth place with only one goal ahead of them, and that is Champions League spot. Apart from that, they have one other motive. Borussia always wants to win against Bayern. The rivalry is so intense that other motives are not needed. The reigning champion suffered this Tuesday only their second defeat in the Bundesliga this season against Hoffenheim. But this didn't affect Bayern too much. At the same time, Borussia plays ''hot and cold'' game. At one moment they are fantastic and everyone thinks that they will crush every team in the league, and in the next, they are losing from some awful team. Both Thomas Tuchel and Karlo Ancelotti have a lot of problems considering injured players. Manuel Neuer will miss this one, while Douglas Costa and Thomas Muller are doubtful for the clash. Borussia has, even more, problems. Andreas Shurlle, Mario Gotze, and Erik Drum are out for a long time, Marco Reus has just begun training with full strength while Sebastian Rode is highly doubtful for this match. The ''Millionaires'' won the last game 1-0, and snapped the four-game streak without winning against Bayern. In the last nine Bundesliga matches, Borussia has only two victories. In the last four games, scorers weren't that much active. They scored just three goals, and in two of those games, we didn't see any goals. We hope that this will be the end of this period because these two teams are the most efficient teams in the league. Bayern scored 67 goals, and Borussia 58. Also, the top two scorers in the league are coming from these teams. Pierre-Emerick Aubameyang reached the 25th goal this season in the last game against Hamburg (1-0), while Robert Lewandowski has one goal less. What might be also important before this match is the fact that both teams are playing first legs of the quarterfinals of Champions League next week? Bayern will host Real Madrid and Borussia AS Monaco. Some players might skip this match, but whoever plays, will give 101 percent on the pitch. This is why we think that this could be a fantastic game. There will be no pressure on either of the teams and probably some players will get more minutes that usual. When Bayern plays at home, their obligation is to always score as many goals as possible. Borussia is also playing to win in every match. And we are sure that they will give their best to defeat the biggest rival at his own stadium. The best German clubs in the last decade play very offensive football and there are no reasons why we shouldn't see the same display tomorrow. Our advice for you is to play over three goals in this game. Also, you could try over 1,5 in the first halftime. Whatever you play as long as it guarantees many goals, will be ok for this match. 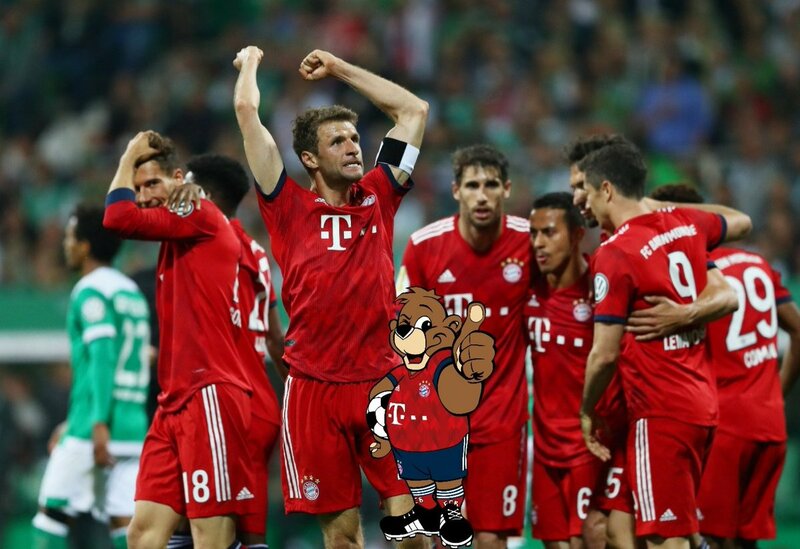 Considering the final outcome, Bayern is always a favorite when playing home, and this is the situation also, against visitors from Dortmund.